Hey everyone! Thanks so much for coming to my blog and checking it all out! 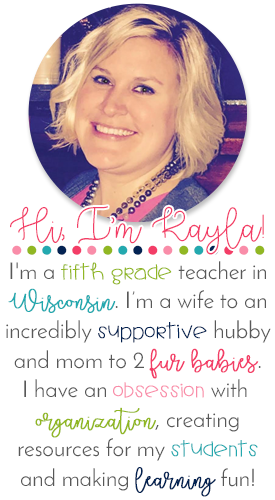 My name is Kayla Bloomstrand and I teach 5th grade in Neenah, Wisconsin. I am currently in my 7th year of teaching! Time has flown by! 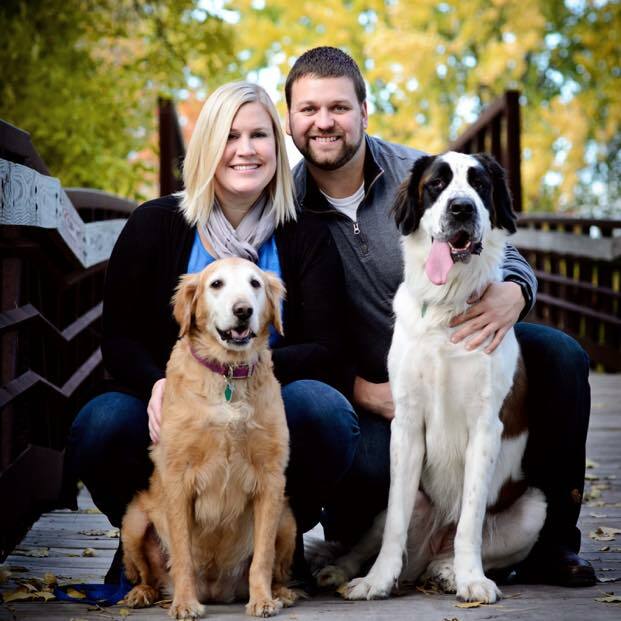 After graduating from UW-Madison in 2010, I moved back to my hometown of Green Bay and found a position in second grade. I taught second grade for 5 years and then had the opportunity to jump up to 5th, which I LOVE! Recently, my husband and I relocated so I switched districts, but stayed in 5th and am enjoying every second! My husband, Dave, and I got married on May 2nd, 2015. We have been together for quite a few years now and have two dogs, Lola and Bella, who are our babies (well, more mine). 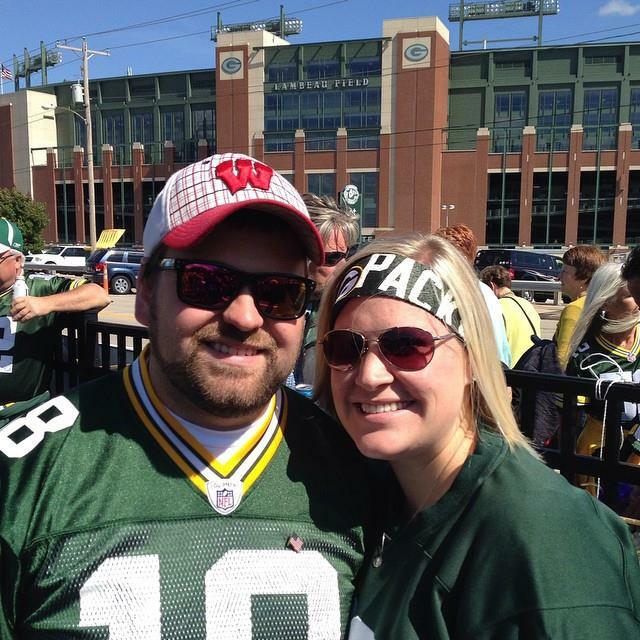 We love to travel, spend time with family and friends, golf, and attend any Wisconsin sports game - Go Packers, Badgers and Brewers! I love being able to write a blog and share my ideas with the rest of the teaching world. I enjoy my job so much and am in awe of my students every day! I love working with other teachers and getting feedback on best practices for these kiddos! Thanks for stopping by! Enjoy! Hi Kayla, I love your blog. I was wondering if you are on Bloglovin'? I would love to be able to save you great blog along with my other teacher blog tips. Thank you for sharing your wonderful teaching tips.